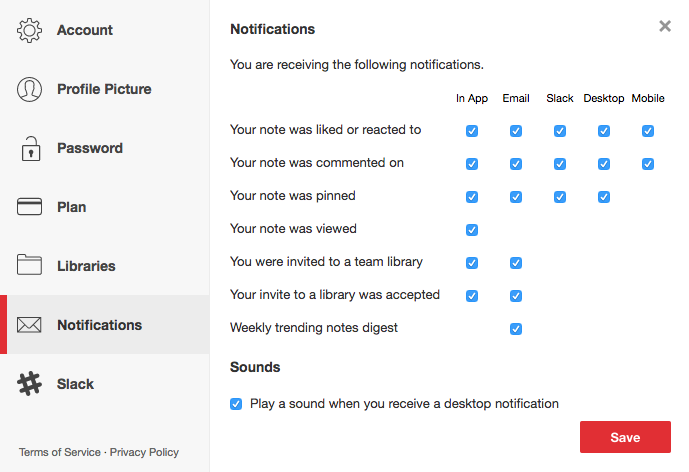 At Notejoy, we believe in empowering you to be notified if and when you want to be of activity happening on your teams. We've always supported granular controls of notifications across all notification channels, including email, Slack, desktop, and mobile. Today we are taking this even further by allowing you to control in app notifications as well. Don't want to see the notification badge turn red and the associated notification menu items for certain activity types? Now you can easily disable them by turning off specific in app notifications from Notification Settings.